Calling All Plein Air Artists! The Trenton Museum Society invites (twenty 20) plein air artists to paint in Frederick Law Olmsted-designed Cadwalader Park on Saturday, September 16, 2017 from sunrise until sunset in conjunction with the Cadwalader Heights House Tour. 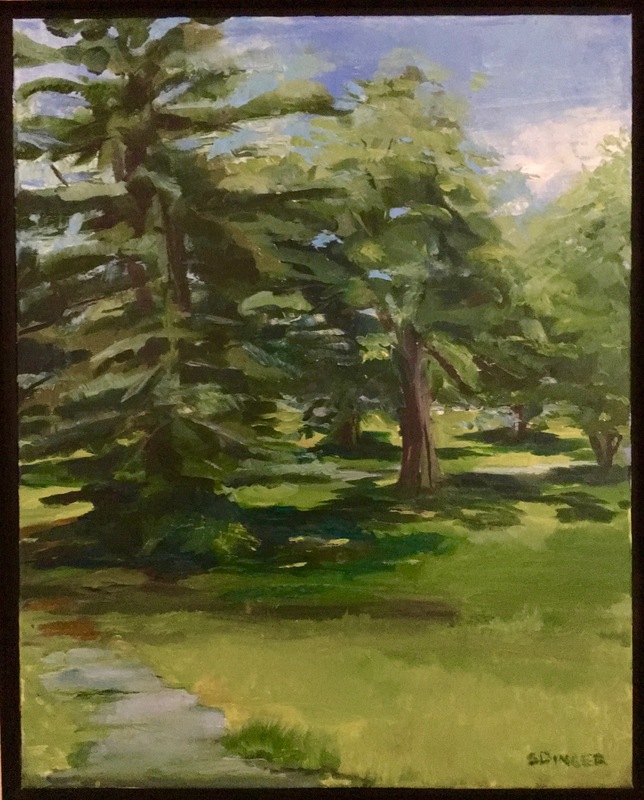 On a first response RSVP basis, twenty lucky artists will receive notice allowing them to commence plein air paintings either of Cadwalader Park, or in neighboring Olmsted-designed Cadwalader Heights. Artists may begin their paintings upon notice of acceptance on August 25 and complete them any time before delivery day on November 13. Oil, acrylic, watercolor, pencil and pastel mediums are welcome! Live painting in the Park or neighborhood on Saturday, September 16 between noon and 5 pm. Minimum framed size 8×10; maximum framed size 16×20. All pieces must be framed and ready to hang. Digital images of both works must be submitted to exhibits@ellarslie.org no later than November 13, 2017. Images may be used by the Trenton Museum Society on the website or in emails or other advertising media for publicity purposes. Paintings will be displayed during an afternoon exhibition as part of the Trenton City Museum Holiday Boutique sale on December 2. There will be a festive evening celebration with light refreshments culminating in an exciting silent auction during an open two-hour bid period that will generate some real enthusiasm! Min /Max opening bid range $300 to $500, with $25.00 bid increments. Winning bids will be announced at the bell and artists will receive a 60% commission on sold auctioned paintings. What are you waiting for? Get your brushes out and your bid on! To apply for a plein air spot, email contact information to exhibits@ellarslie.org before August 25, 2017. Don’t forget first come first serve. Artists who win a spot will be listed on a promotional postcard. 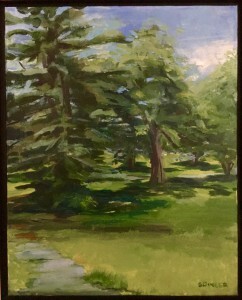 We are excited and anticipate seeing 40 amazing plein air paintings at our wonderful holiday exhibition and sale! Download the guidelines: Calling All Plein Air Artists.